This research identifies fifteen Ukraine-based development firms with outstanding records of client service. 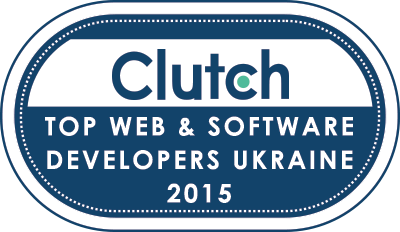 WASHINGTON, August 27, 2015 - Today Clutch published a new report on Top Ukraine-based Web and Software Developers. The research leverages the proprietary Leaders Matrix methodology, which maps each firm's focus in software and web development against their ability to deliver reliably on client expectations. QArea, Miritec, Zfort Group, Perfectial, AltexSoft, InternetDevels, Django Stars, SteelKiwi Development, IT CRAFT, Intetics, N-iX, and Program-Ace. Another three companies qualified as top contenders: FreezePro Software, Eastern Peak Software and QuartSoft. Analysts performed a thorough examination of software and web development firms with delivery centers in Ukraine. The highlighted developers in this new report were chosen based on over a dozen quantitative and qualitative factors, including company experience, industry recognition, technical certifications, market presence and positive client reviews. Clutch’s effort to identify top software and web developers remains ongoing, and they encourage firms with a demonstrated history of outstanding client service to apply for inclusion in future research. Clutch is a Washington, DC-based research firm that identifies top services firms that deliver results for their clients. The Clutch methodology is an innovative research process melding the best of traditional B2B research and newer consumer review services. Clutch utilizes a proprietary framework, the Leaders Matrix, which maps firms' focus areas and their ability to deliver on client expectations. To date, Clutch has researched and reviewed 900+ companies spanning 50+ markets.